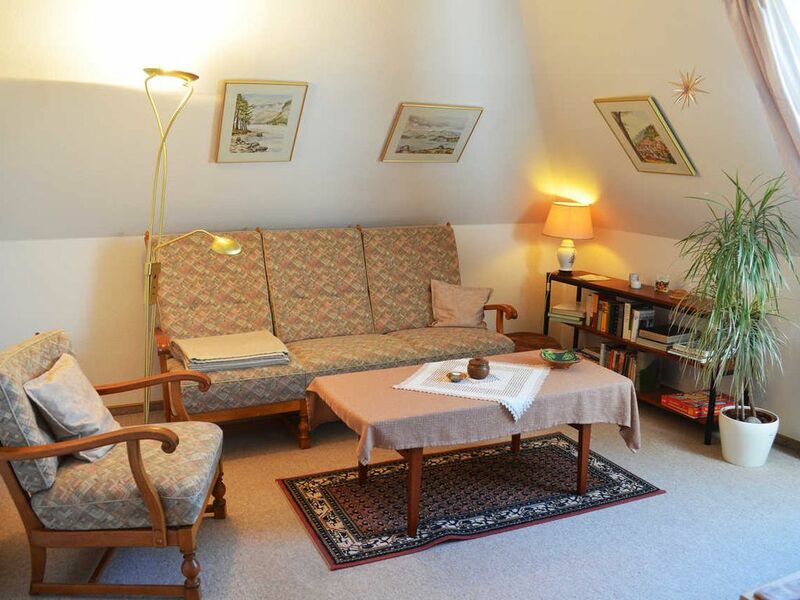 The apartment Inge Noack is located on the upper floor of a detached house in a quiet residential area of ​​Bad Bevensen. From the common entrance you can reach the stairs via a staircase. Floor. You can expect a cozy, bright 2-room apartment. In the well-kept and beautifully landscaped garden, guests have access to a separate terrace area with sun protection. The comfortable garden furniture with cushions invite you to relax in the privacy of the garden. Rental bikes are offered by the landlord free of charge, parking is available in front of the house.